← It’s your turn to speak up! The term “crowdsourcing” is new but the concept is not new. It is 300-year-old concept! 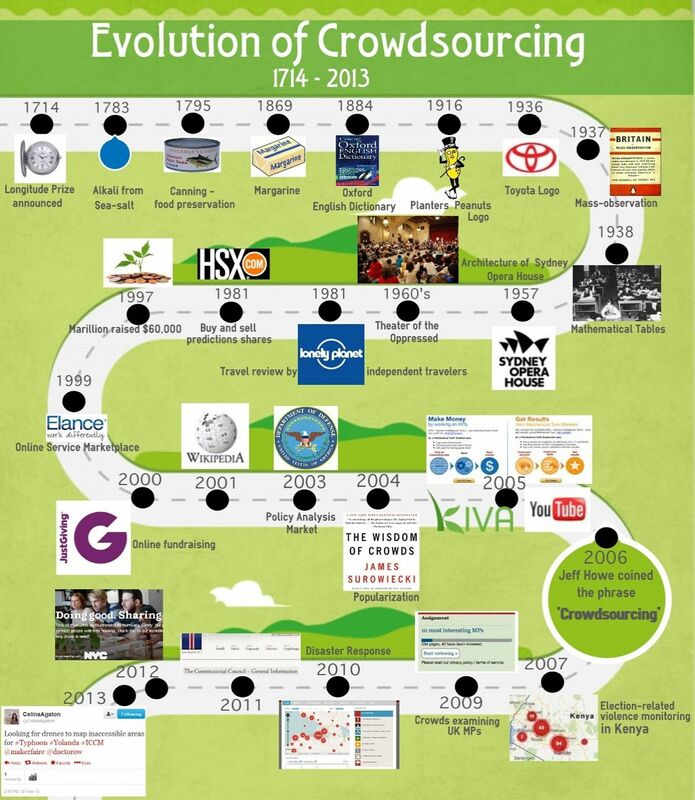 Enjoy the infographic bellow to know the history of the concept of crowdsourcing. This entry was posted in Activism and tagged concept, crowdsourcing, history, Infographic. Bookmark the permalink.